I fail often. Who doesn’t? But I don’t mind failing. Because failing at least says I’m trying. I’m famous for starting challenges and falling out somewhere in the middle. But I keep signing up for more challenges, pushing myself to reach higher heights than I would’ve if I’d just stayed comfortable and safe. Failure is familiar to me now. And it might be to you too. But here’s the thing about failure. We shouldn’t just fail and cry; instead, after a failure, examine where you made a misstep so you can get better and try again. What went wrong? What’s the real problem here? Sometimes what seems to be the problem is only a symptom of the real problem. Delving into what the real problem is takes courage. It requires strength of character to face a failure and be willing to look for what caused it, especially if the problem is something you did. When did it go wrong? This, too, requires serious analysis. Quite often, even after things have already failed, we continue beating a dead horse, unwilling to accept that it’s time to figure out the lesson and move on. That creates a long plateau of failure. Going back and figuring out when the nosedive actually came, can be a challenge. Where did it go wrong? If you know when things went awry, it will be be easy to figure out the where – what was happening when things went wrong. Why did it go wrong? What was the single thing that led to the failure? How did I contribute to making it to wrong? Forget all the other circumstances that led to the failure. What am I personally responsible for? Which one of my gifts should I have used more wisely or liberally – my stewardship? Was I too distracted by my other ventures – my time management? Was I lackluster in my support and participation – my attitude? What can I learn from this experience? Now that I’ve accepted that venture has failed, what lesson can I take with me when I close up shop? How will I apply what I’ve learned in the future? This is the most important question but it can only happen if you’ve gone through all the other six. As they say, sometimes you win, sometimes you just get a lesson. Figure out the lesson and apply it. An entrepreneur friend of mine told me he keeps a list of his failed business ideas along with some of the things he learned from his failed attempts. As a writer, I also keep a file of articles and stories and poems that I’ve written that just didn’t work out. Sometimes, I can tell what didn’t work out with it even if I don’t yet know how to fix it. Every now and then, I return to my failures for inspiration or for lessons on what not to do. Credit to Leadership Coach, John Maxwell for inspiring this introspective list. It’s easier to go from failure to success than from excuses to success. 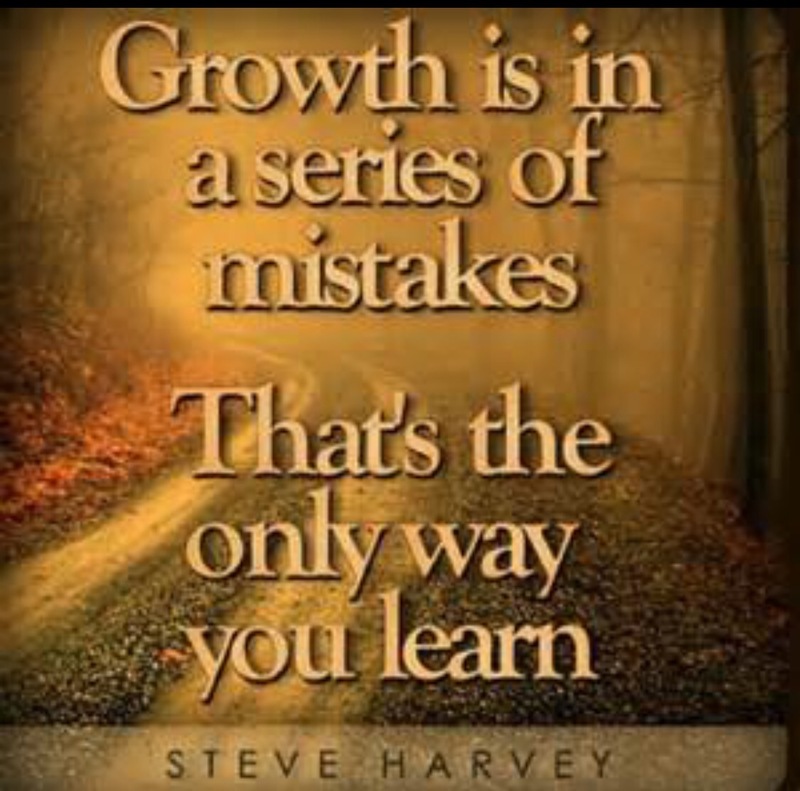 Growth is in a series of mistakes; that’s the only way you learn. 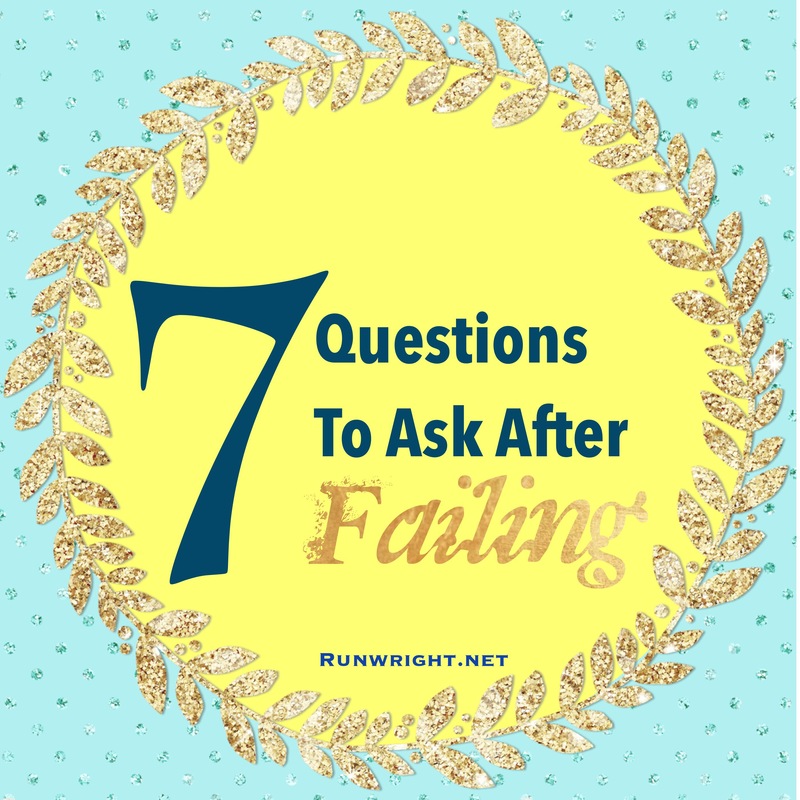 #6 and #7 are my most important take aways after a failed attempt. I try to be as honestly reflective as I can. Beautiful post! I honestly believe that failure is the best thing that can happen to us. You cannot truly succeed to your best potential if you haven’t failed trying and learned from it andthen worked harder after.